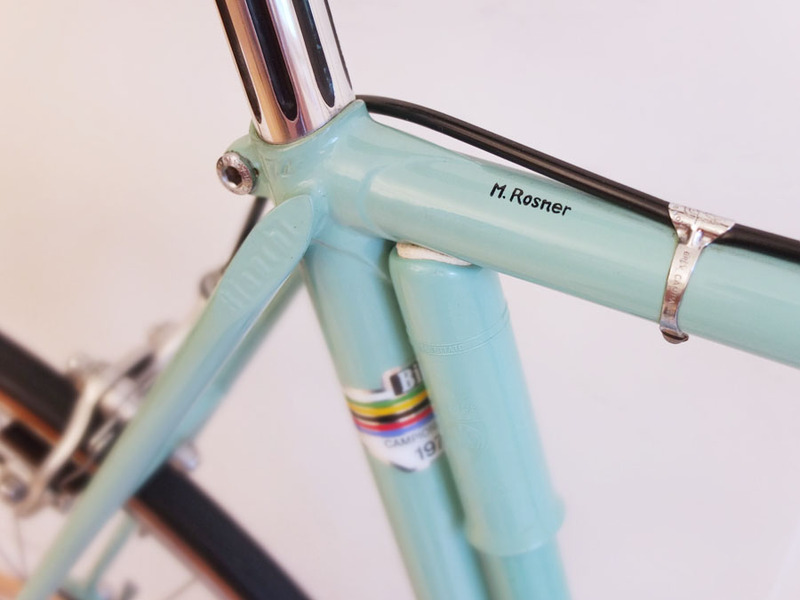 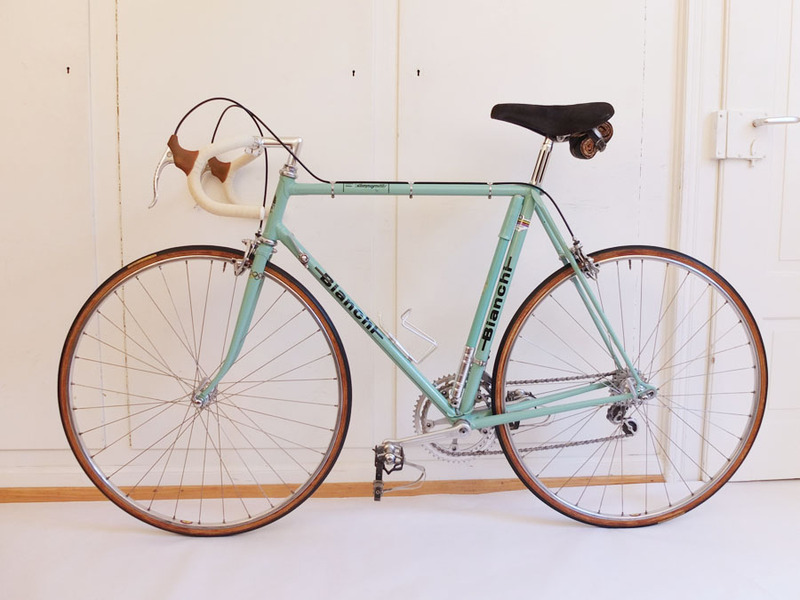 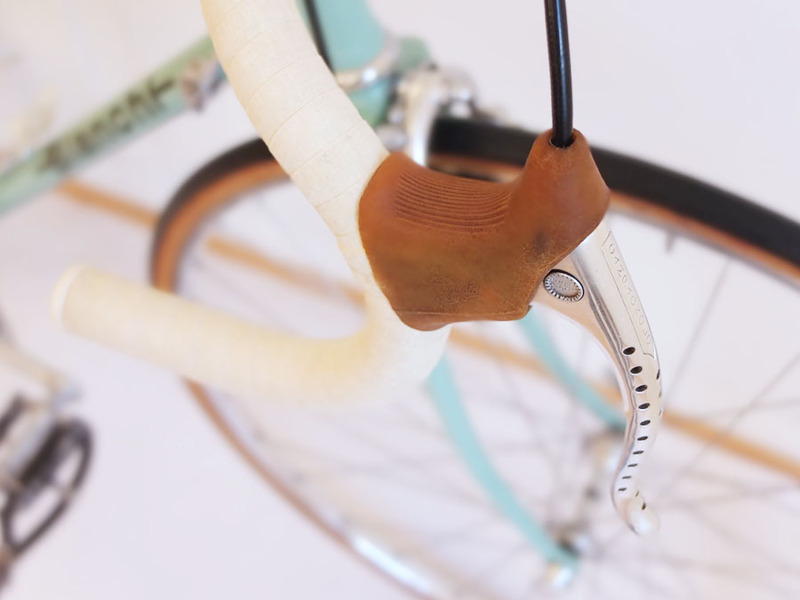 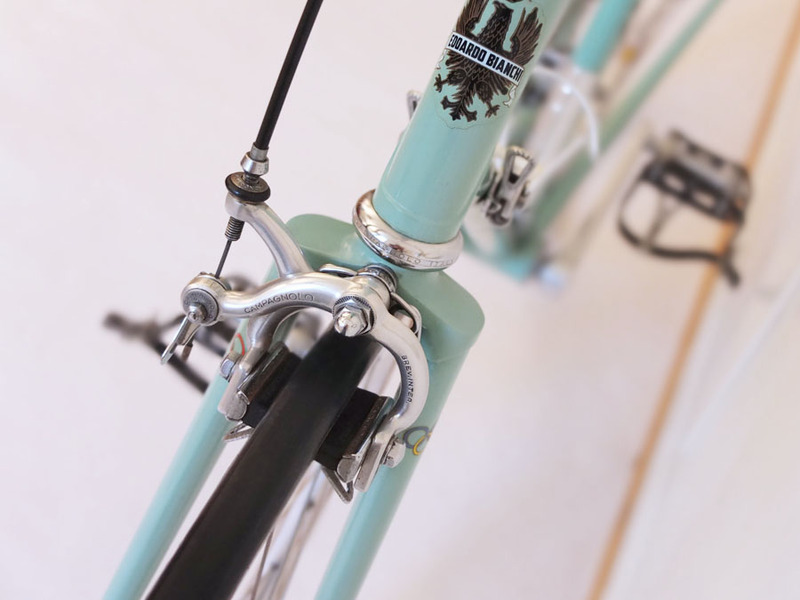 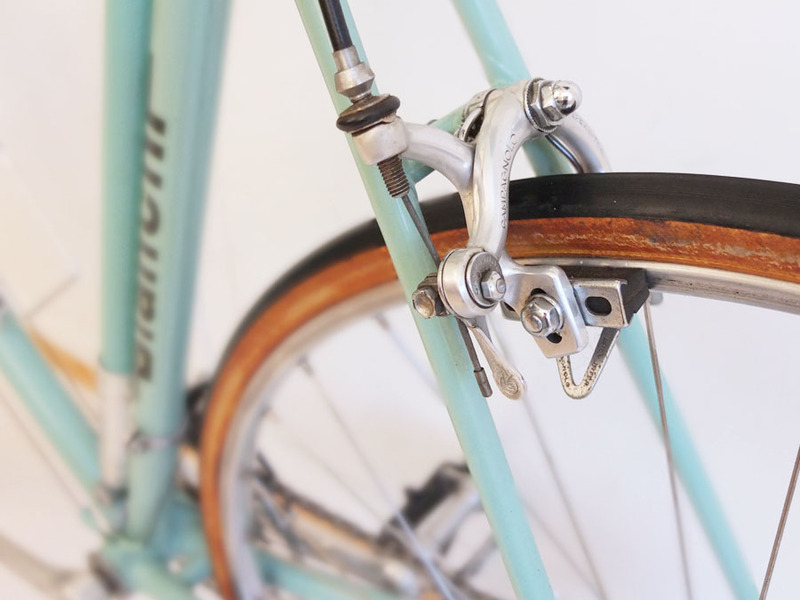 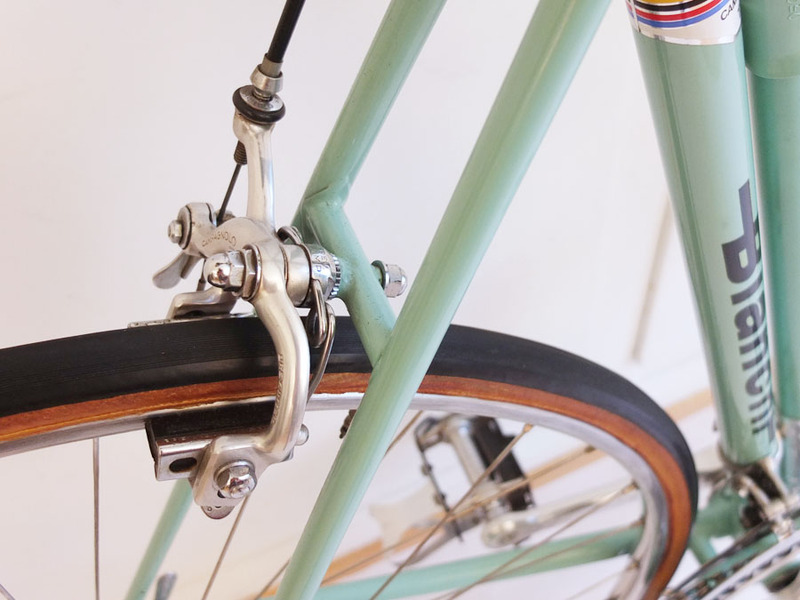 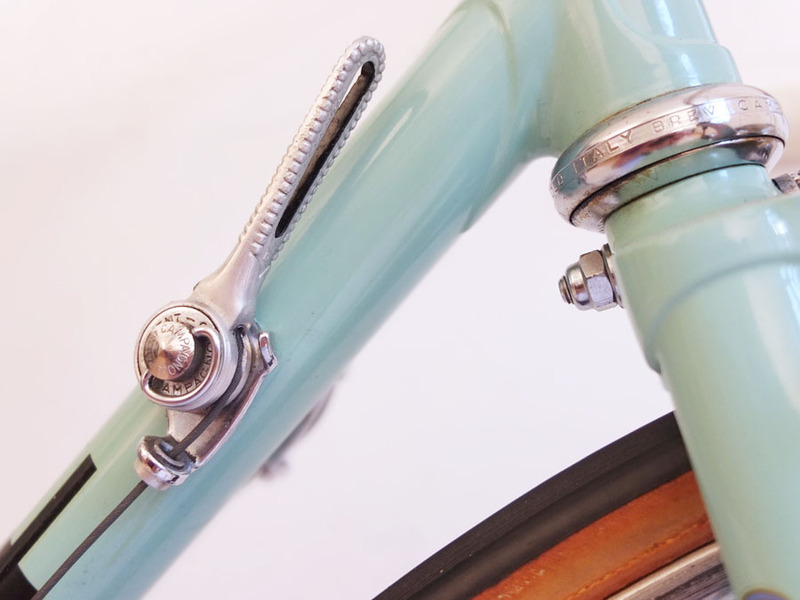 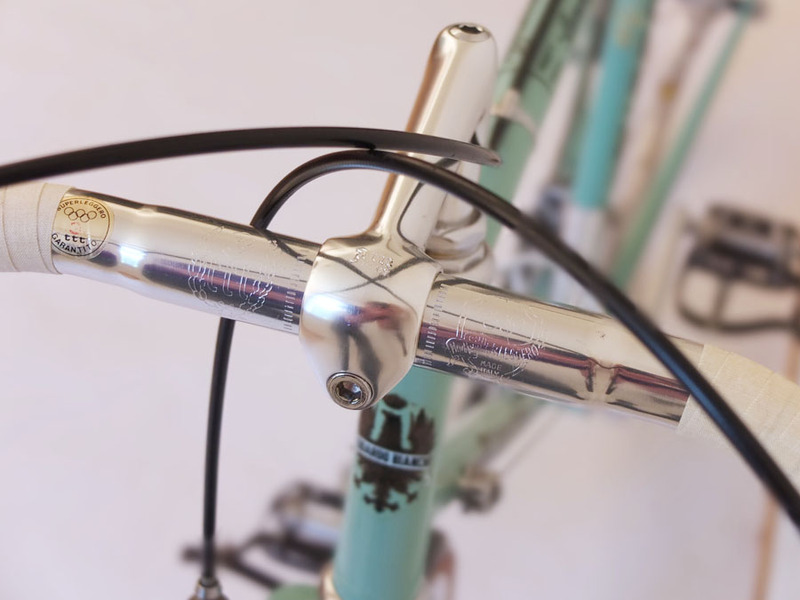 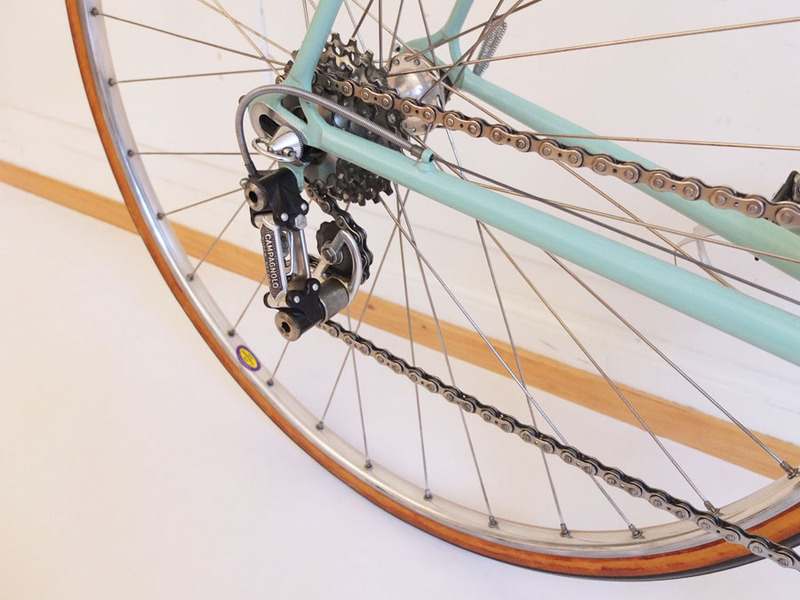 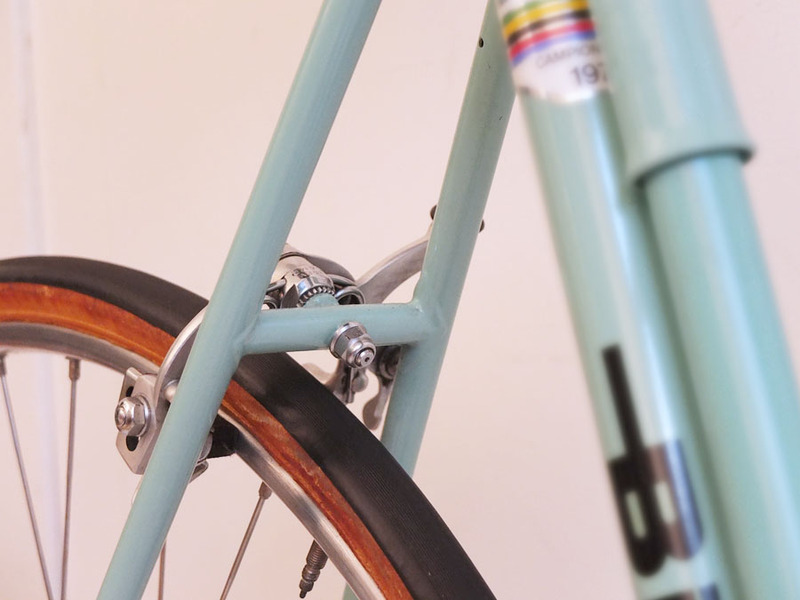 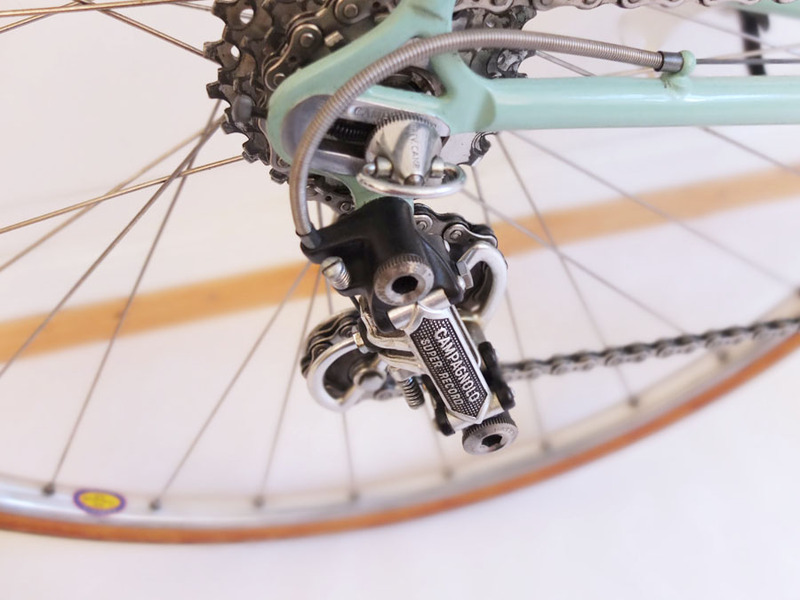 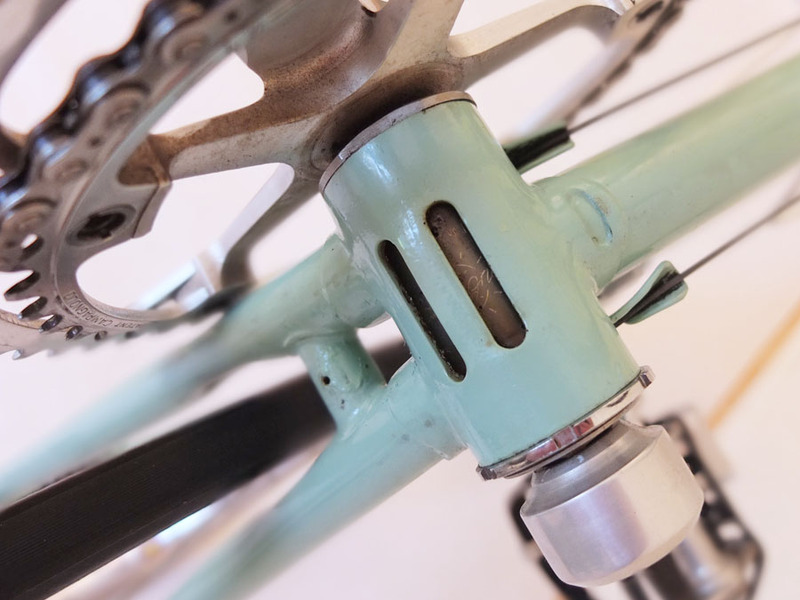 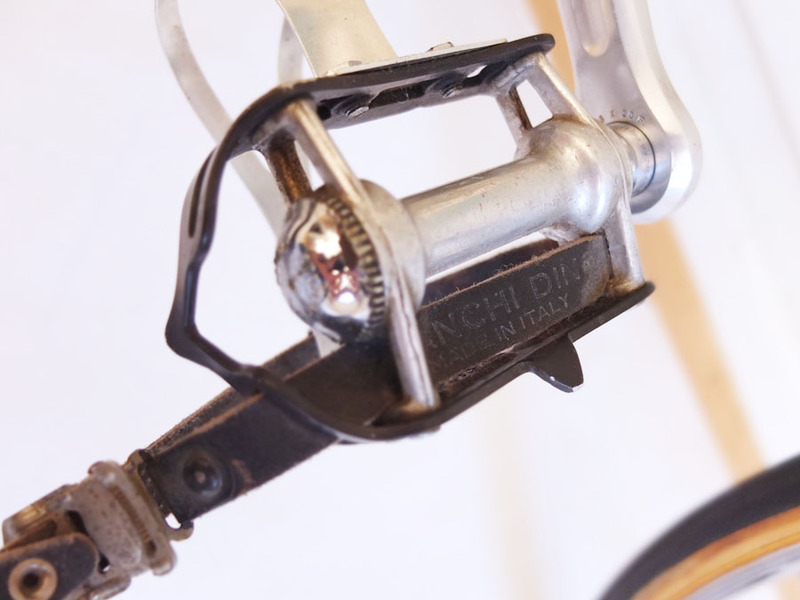 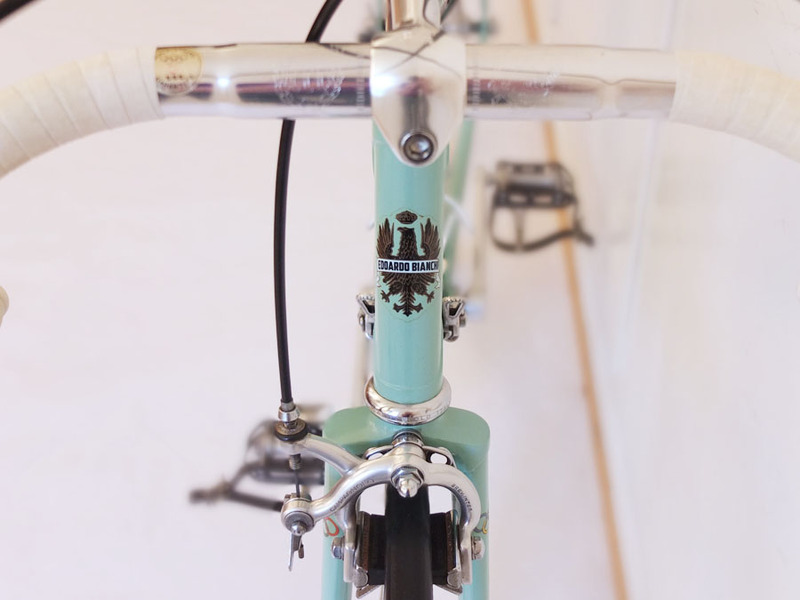 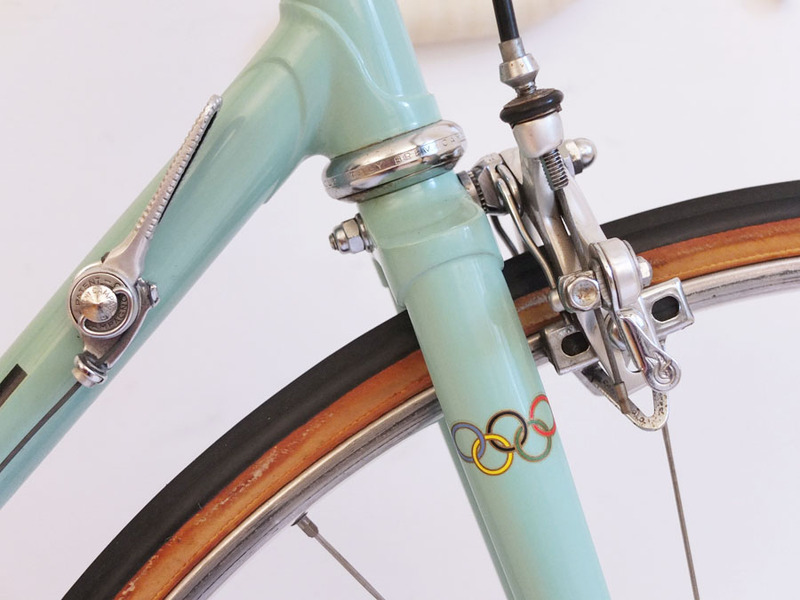 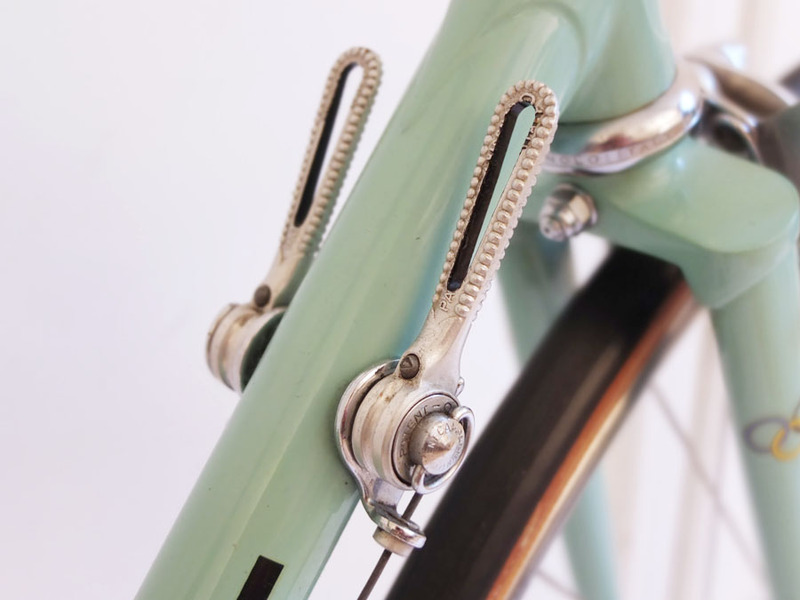 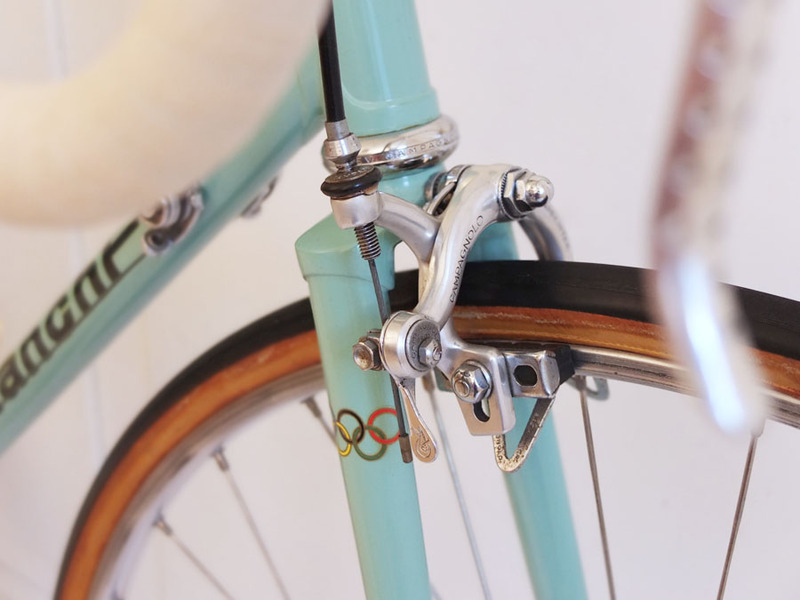 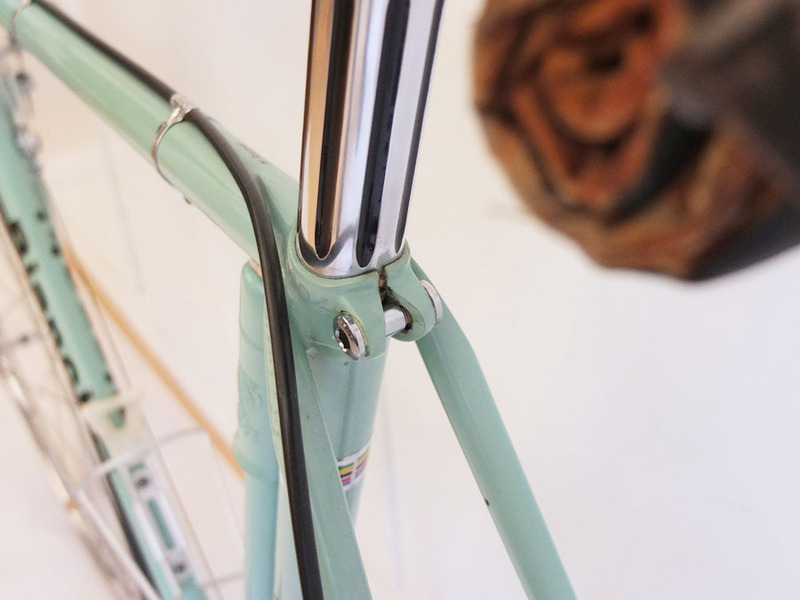 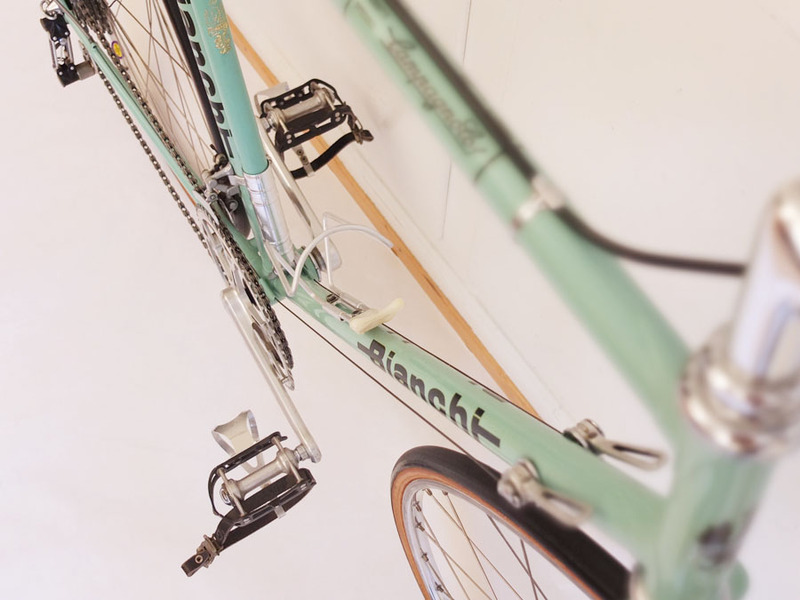 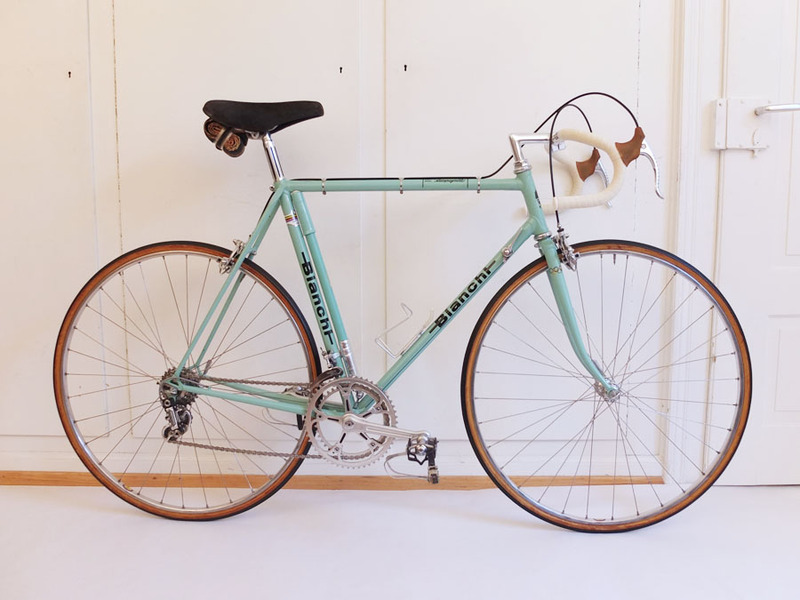 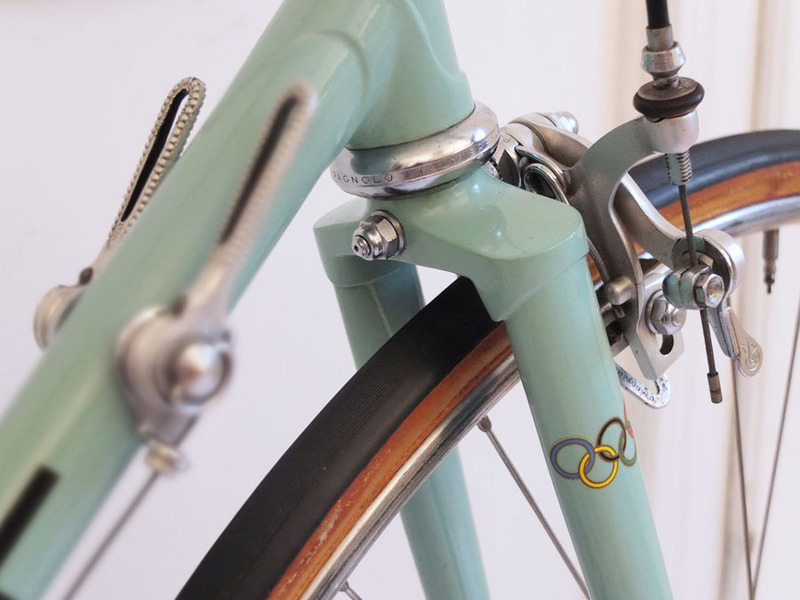 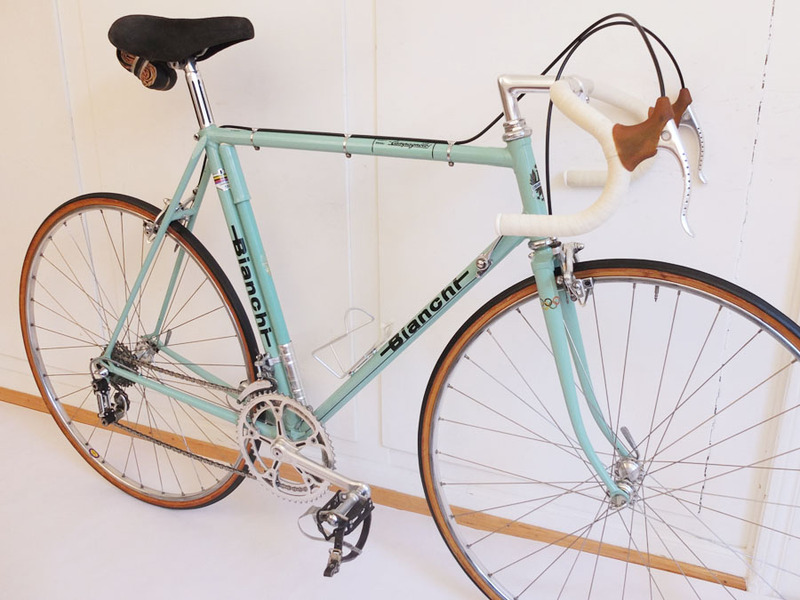 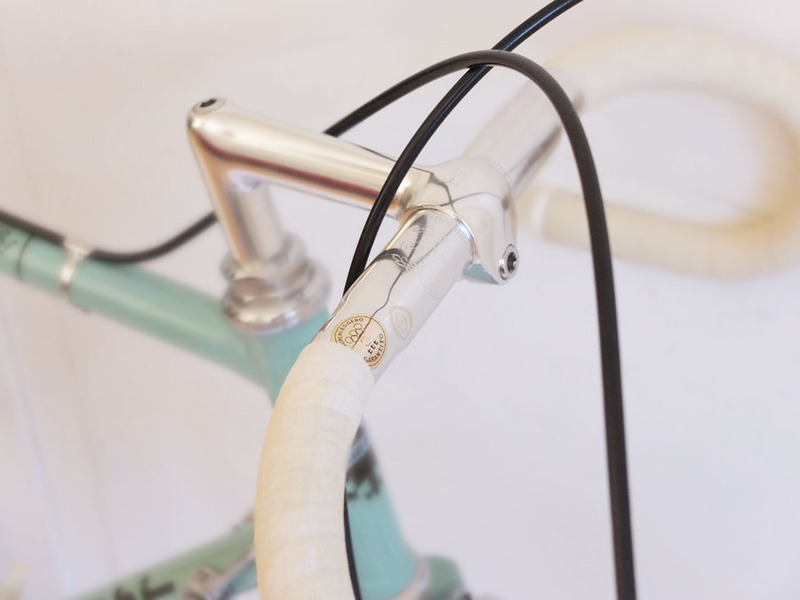 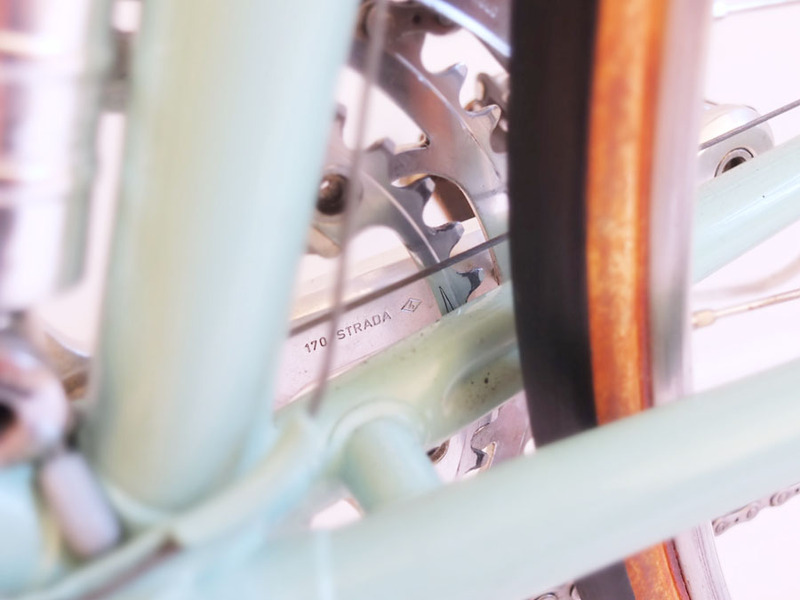 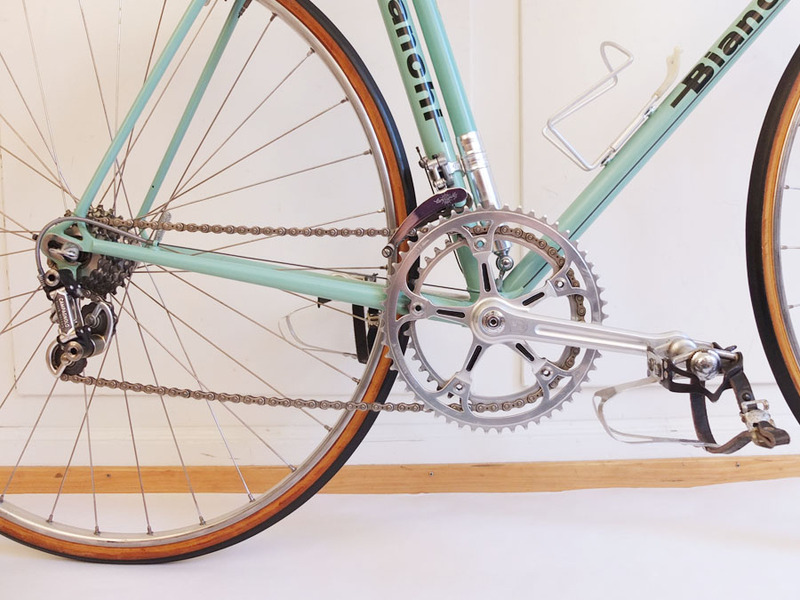 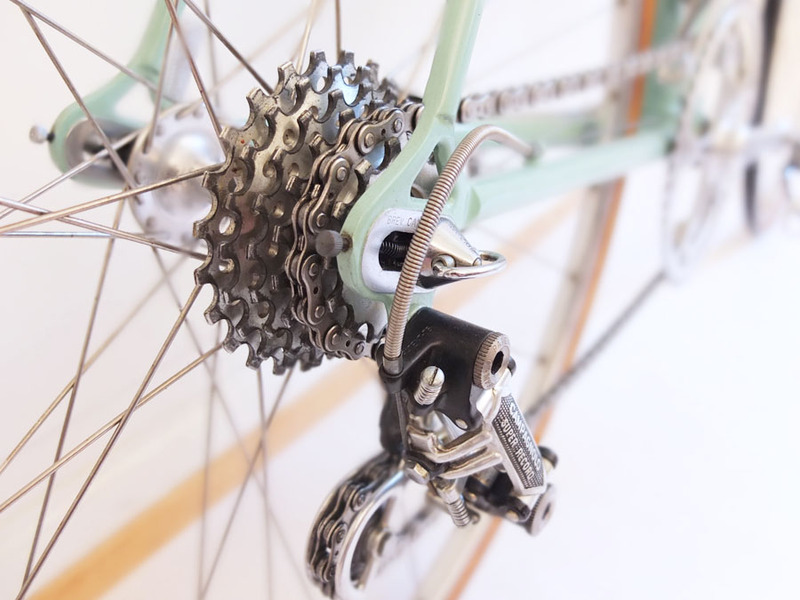 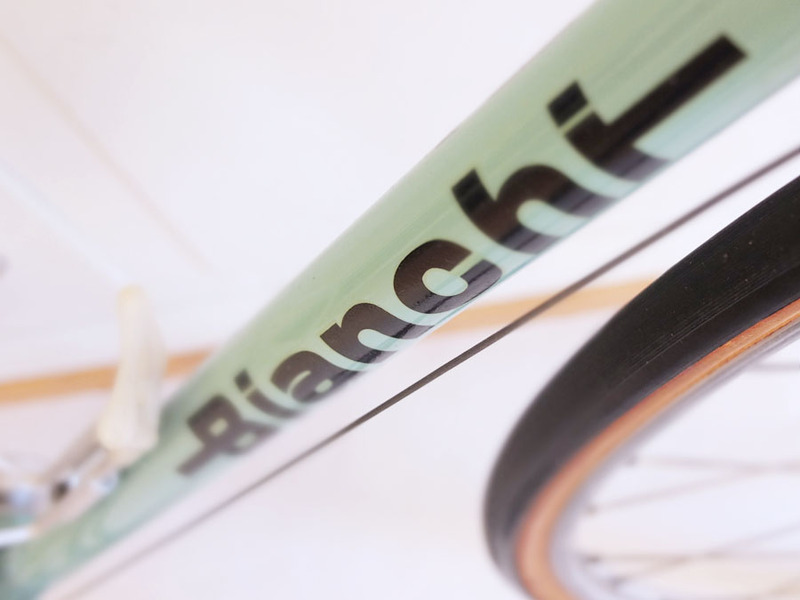 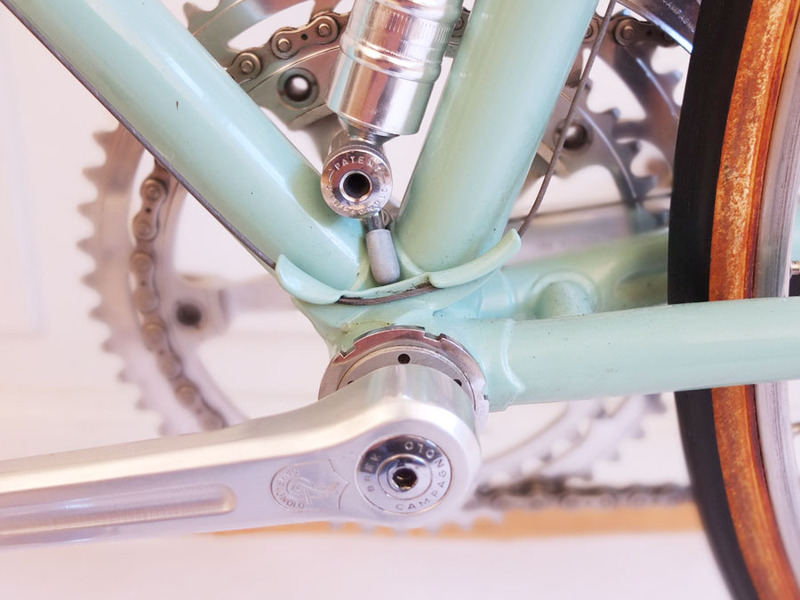 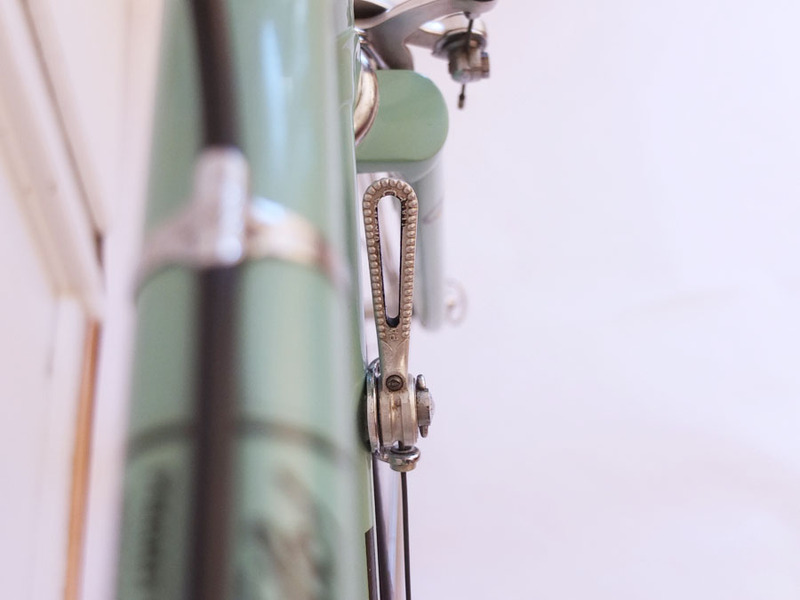 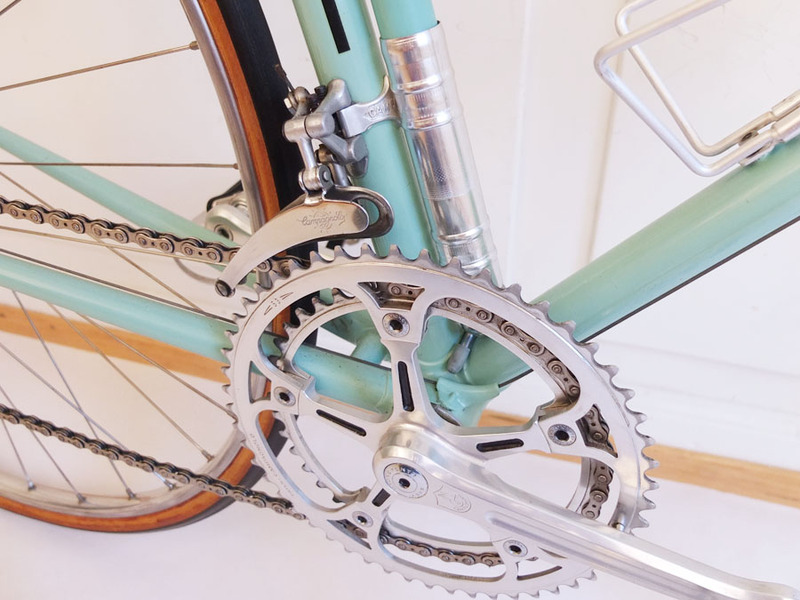 Mid 70s professional road bike from Bianchi. 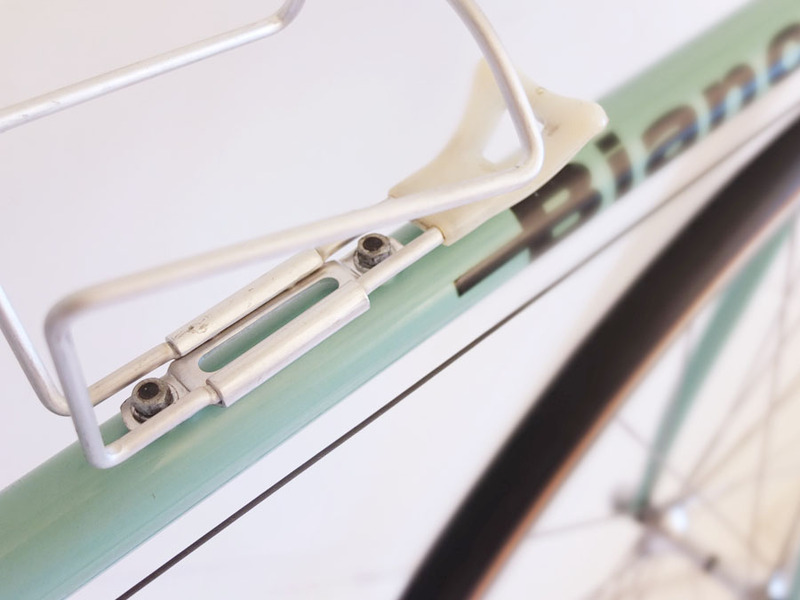 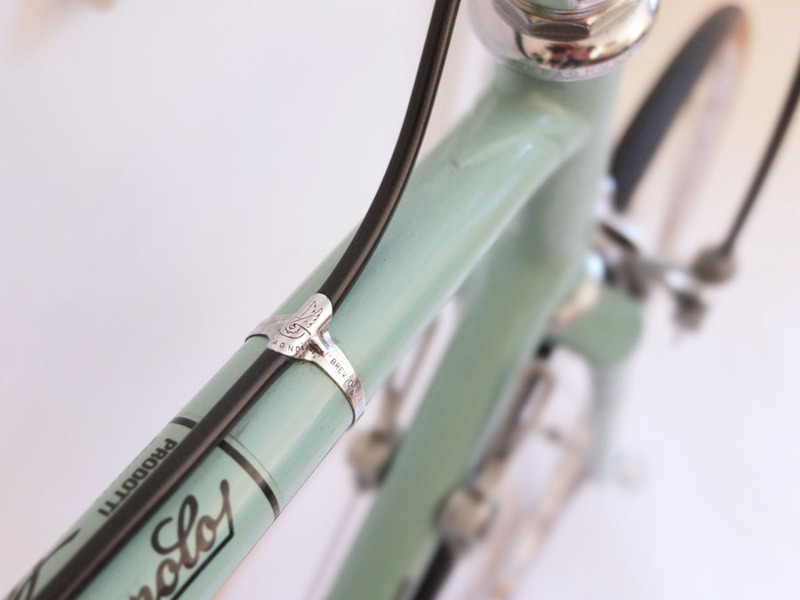 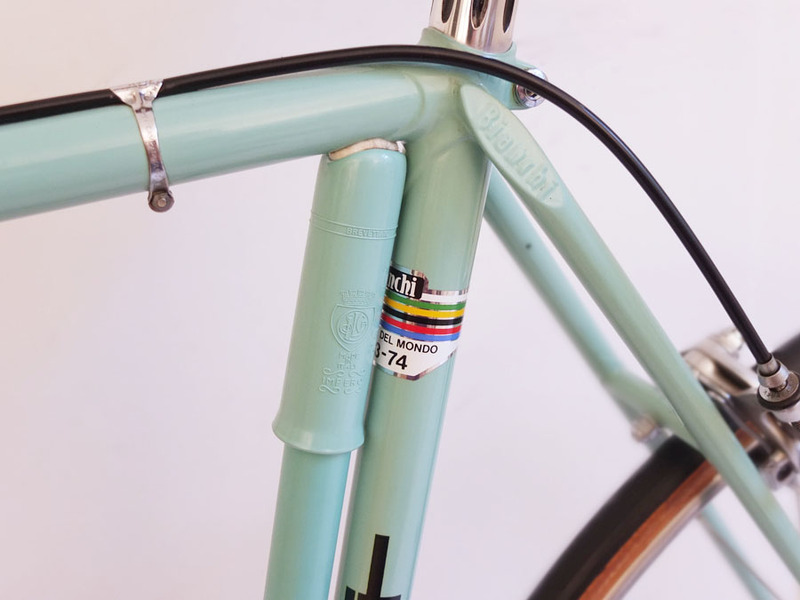 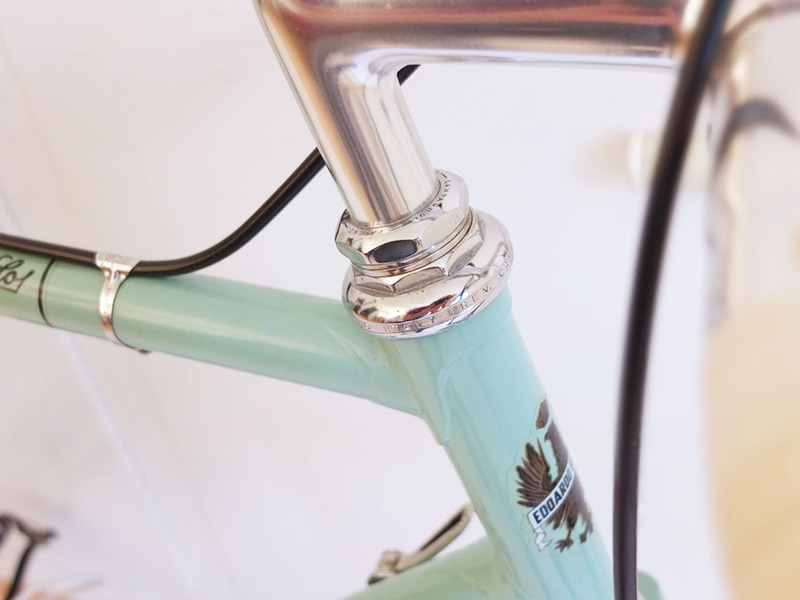 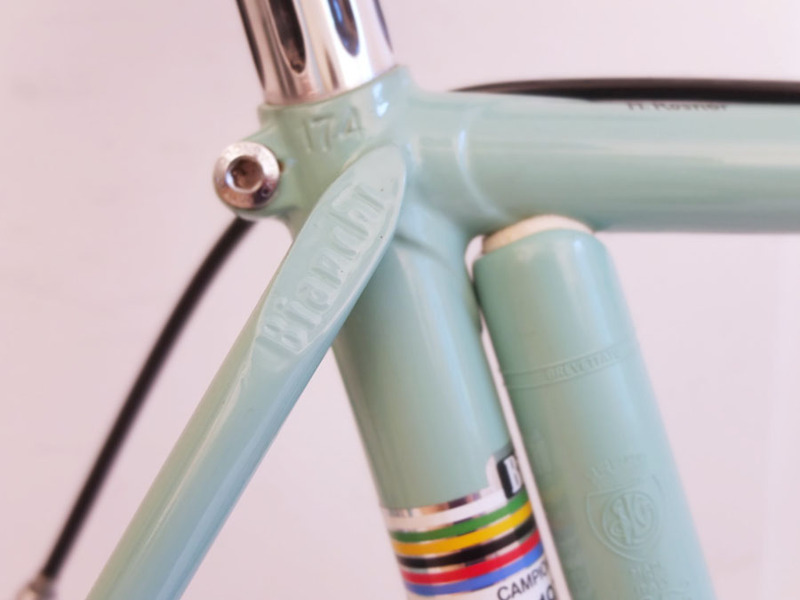 Columbus framework #17.4 604 finished in Bianchi celeste. 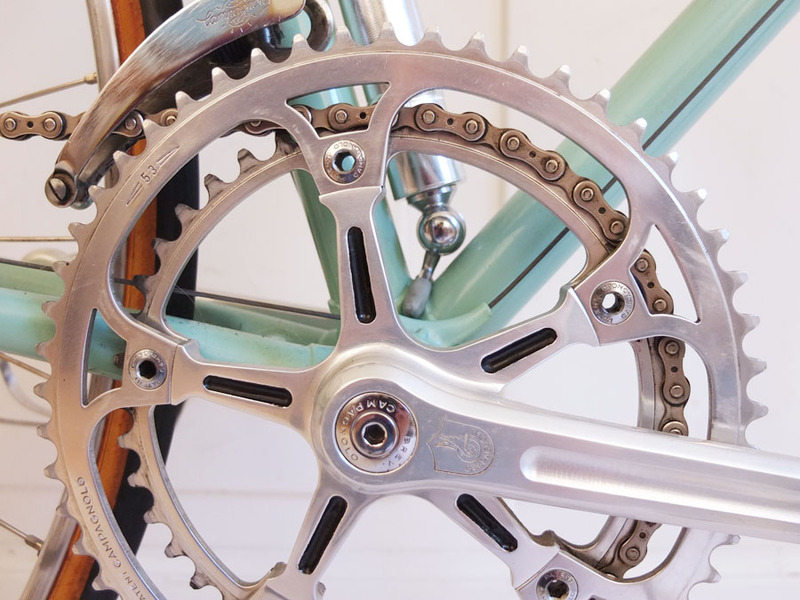 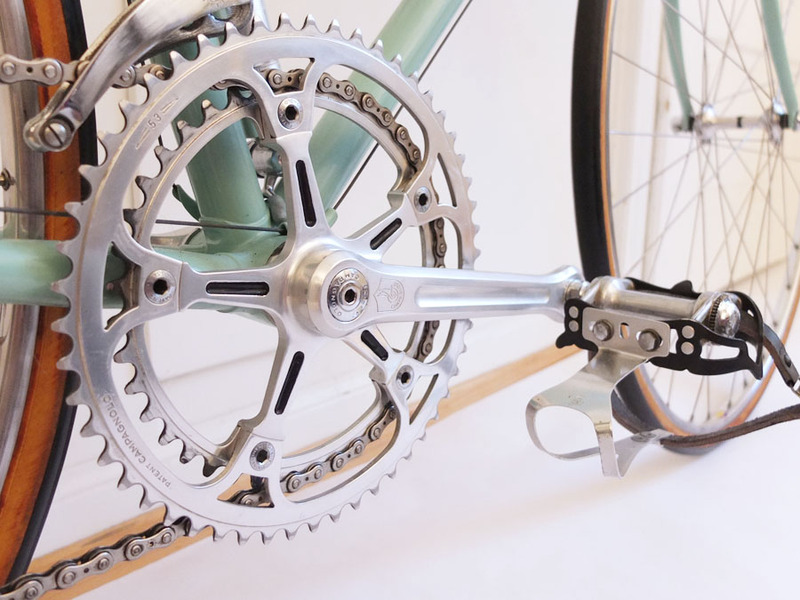 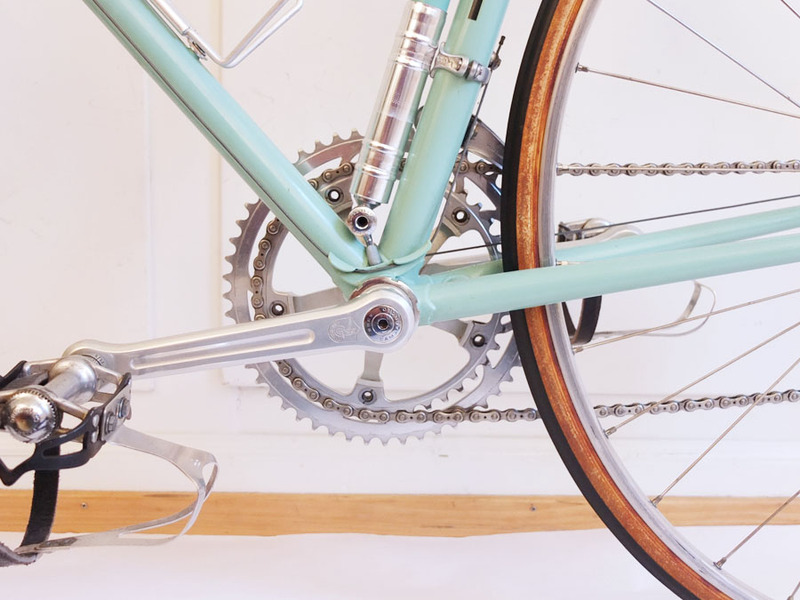 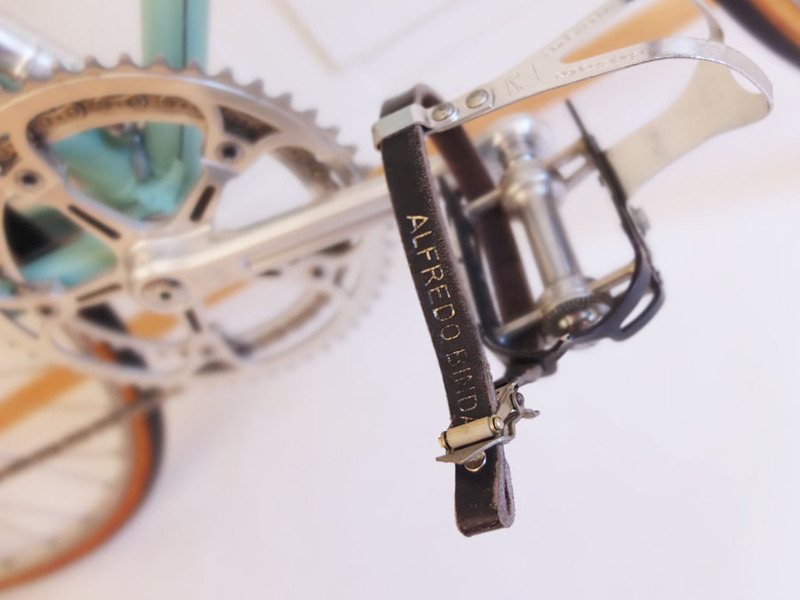 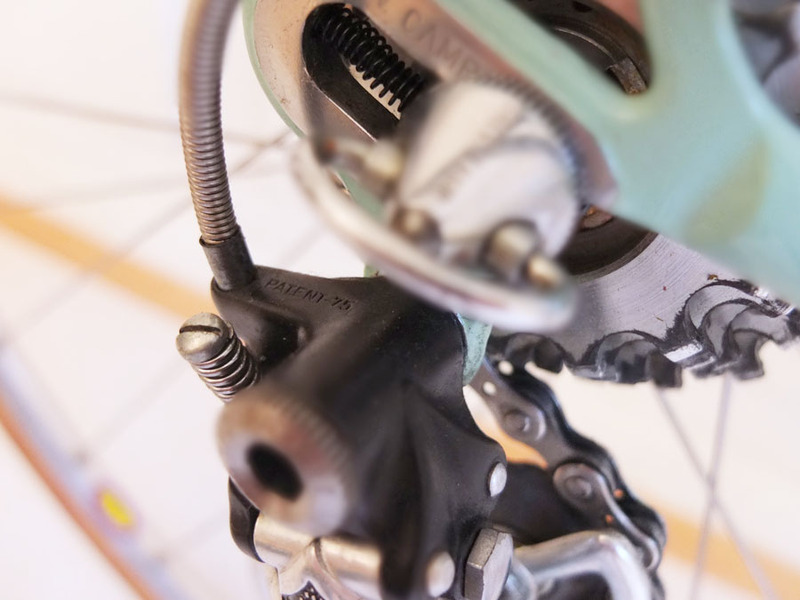 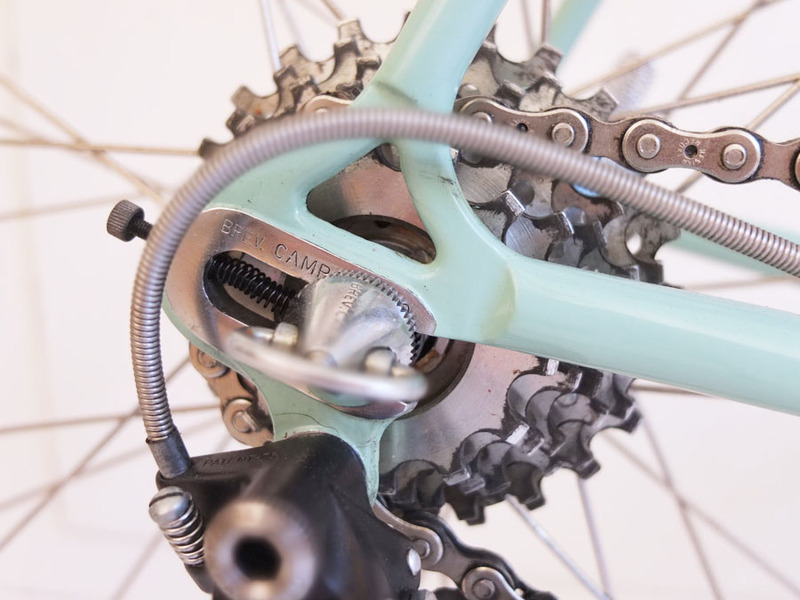 Frame and crankset dates from 1974, rear derailleur from 1975. 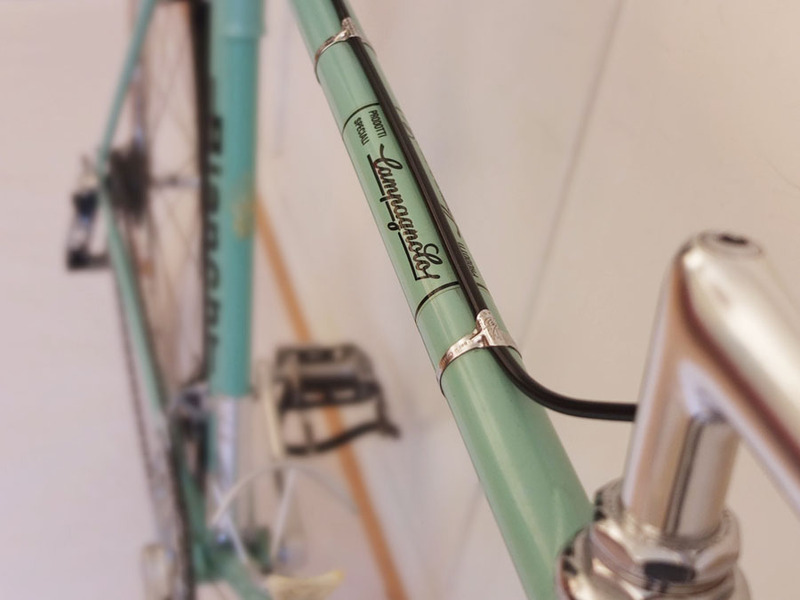 Equipped with Campagnolo Record group, 3ttt Gimondi Superleggero handlebar, 3ttt stem, Cinelli Unicanitor #2 saddle, Everest alloy freewheel, Regina Record chain, Campagnolo rims and Clément Criterium Seta tubulars. 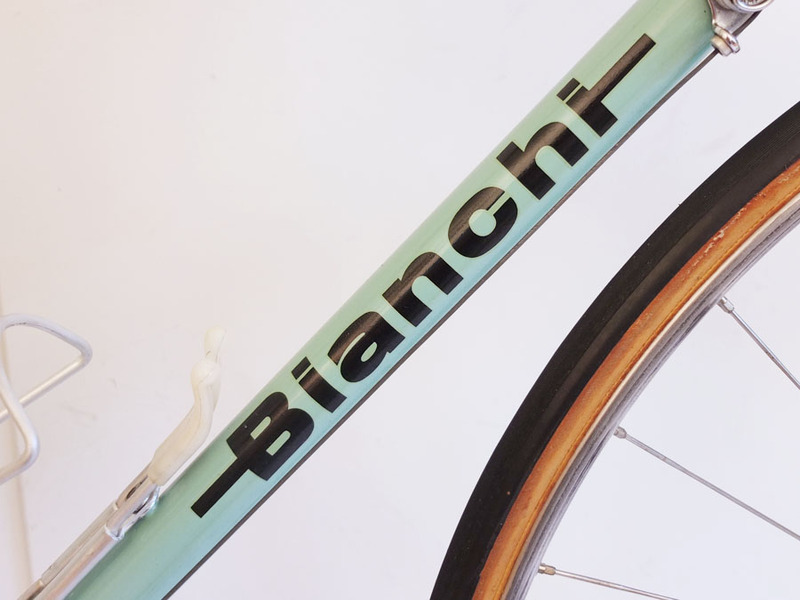 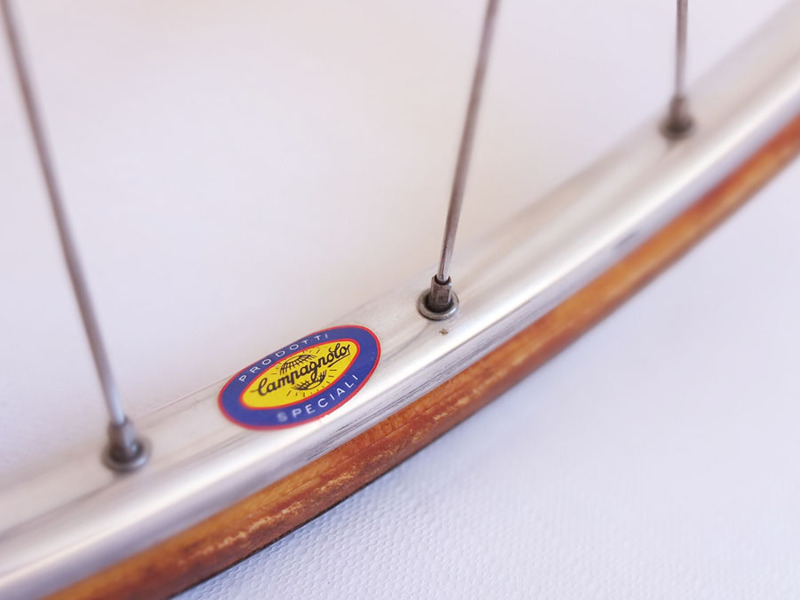 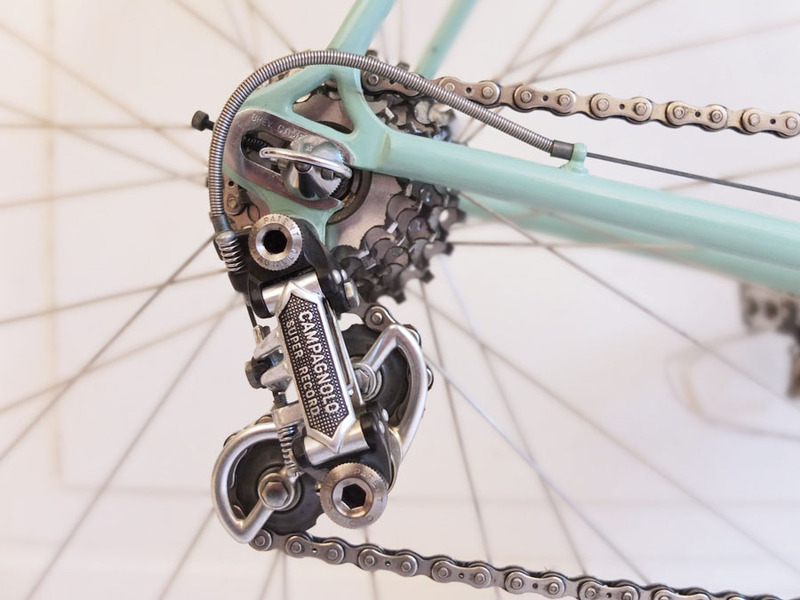 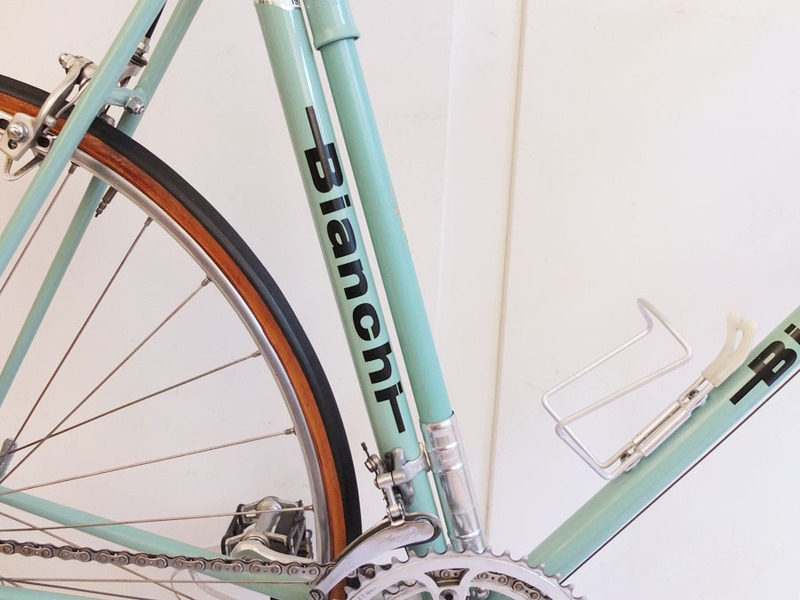 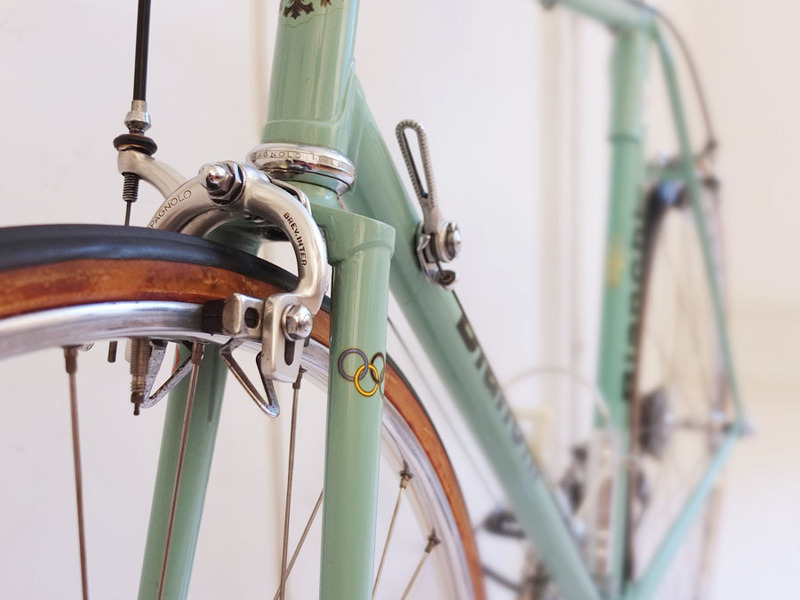 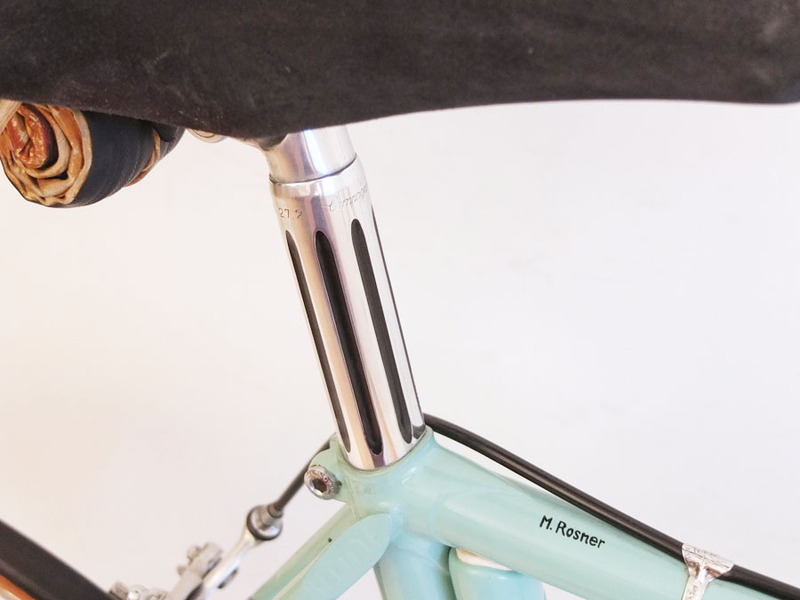 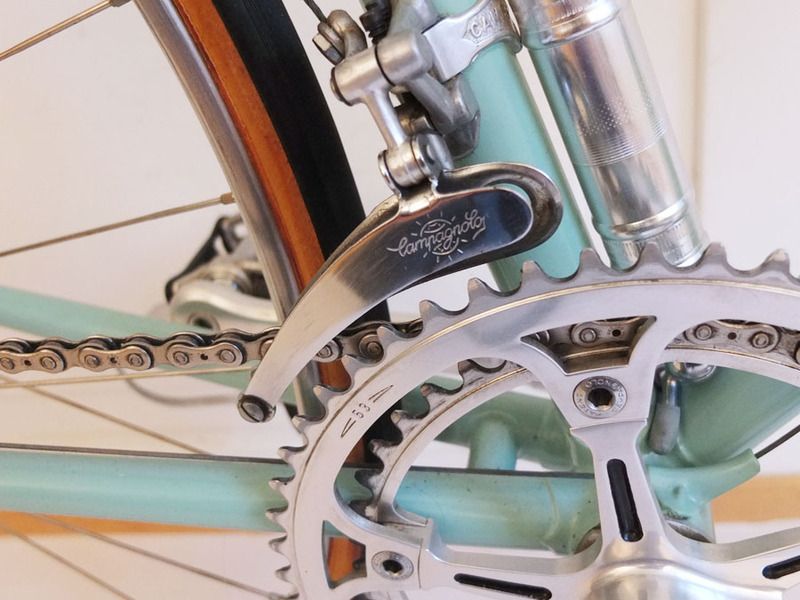 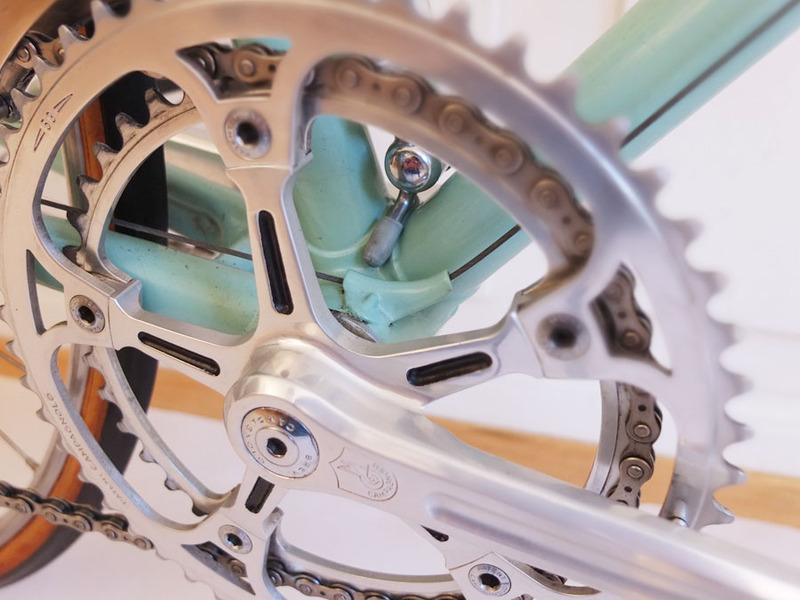 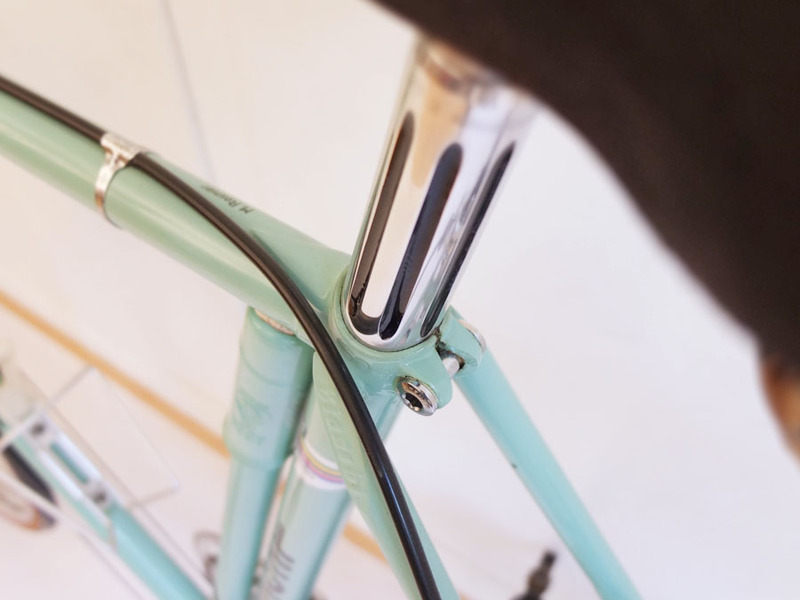 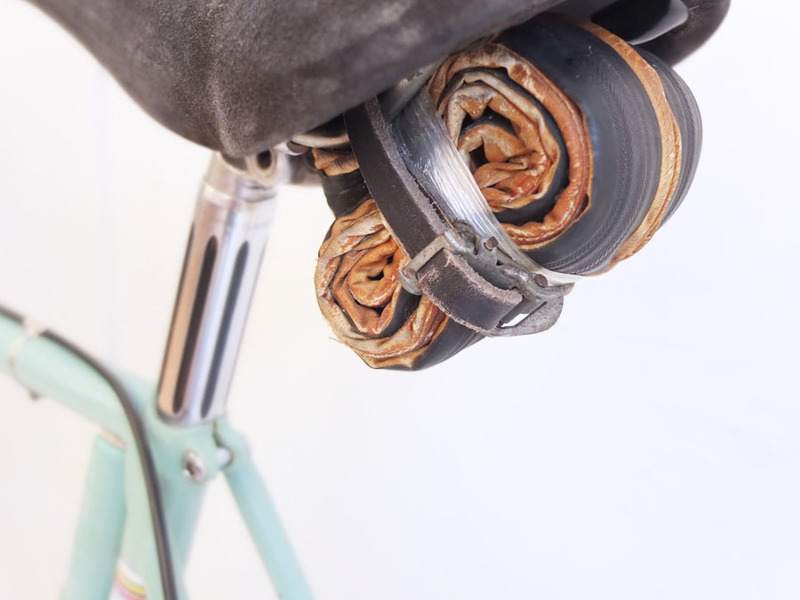 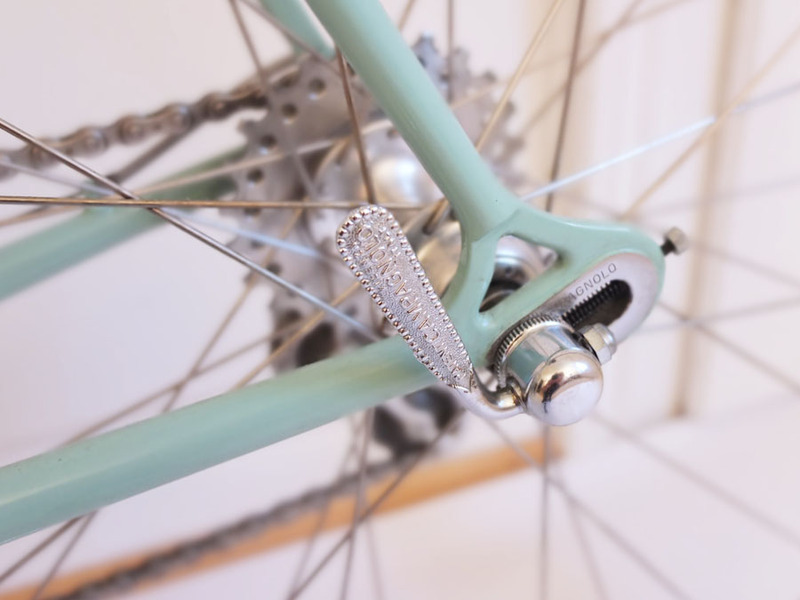 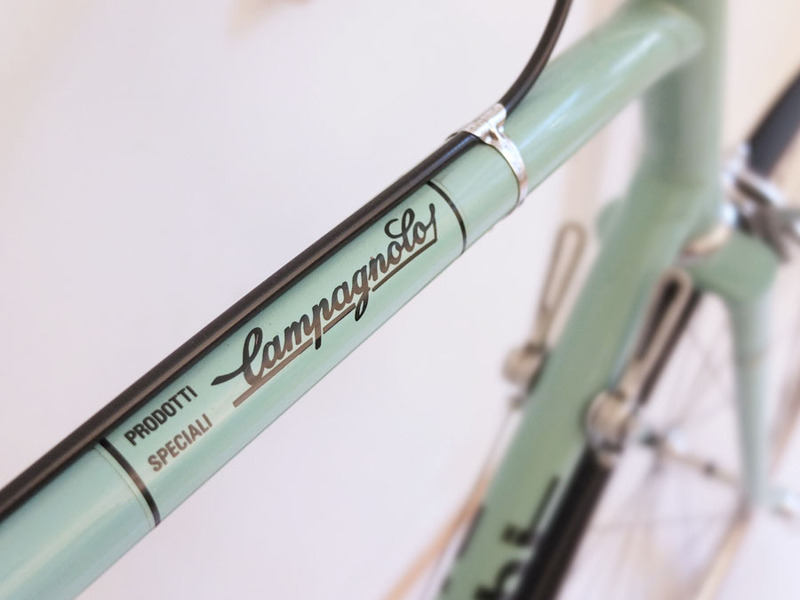 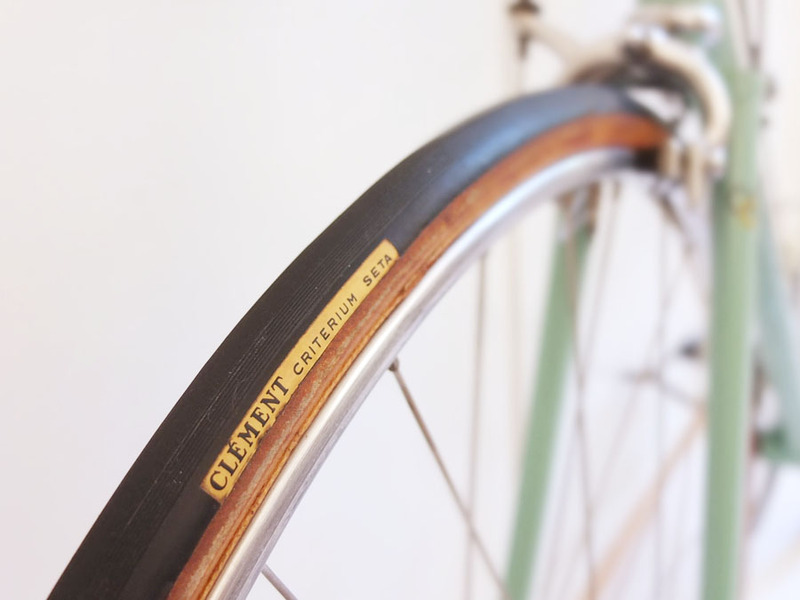 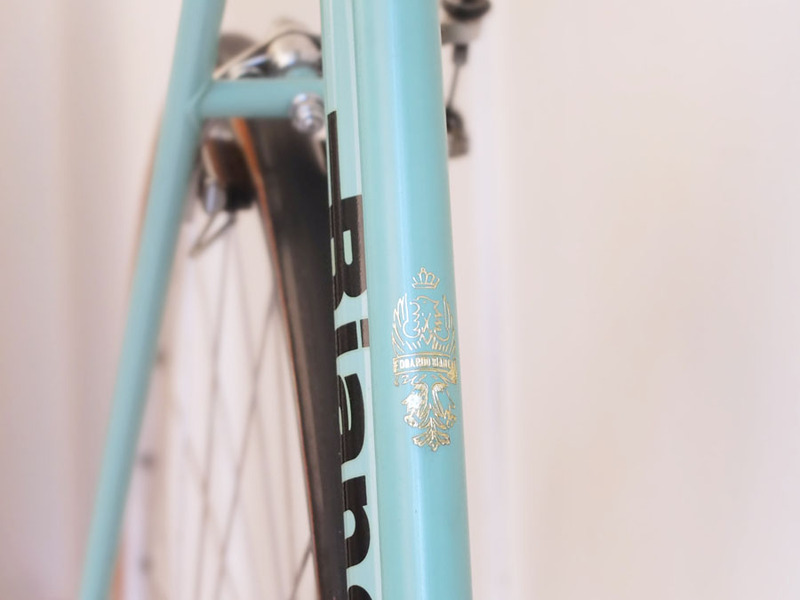 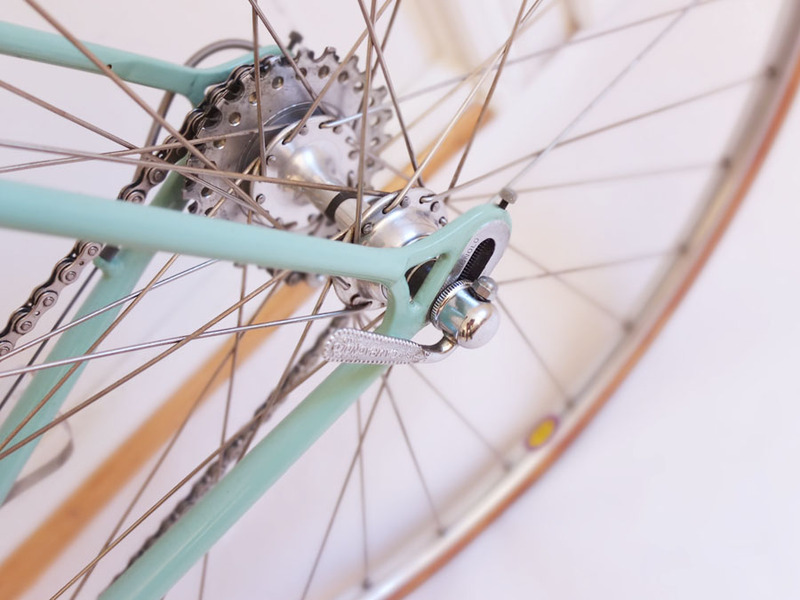 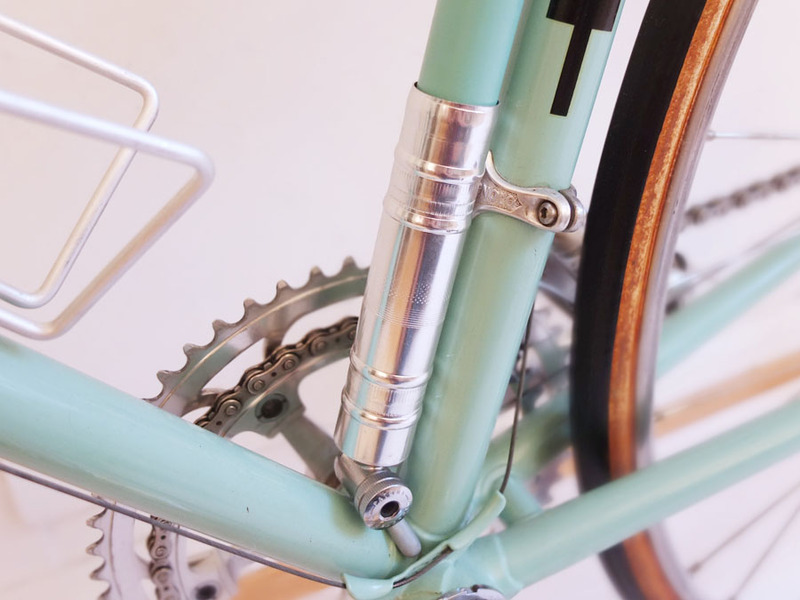 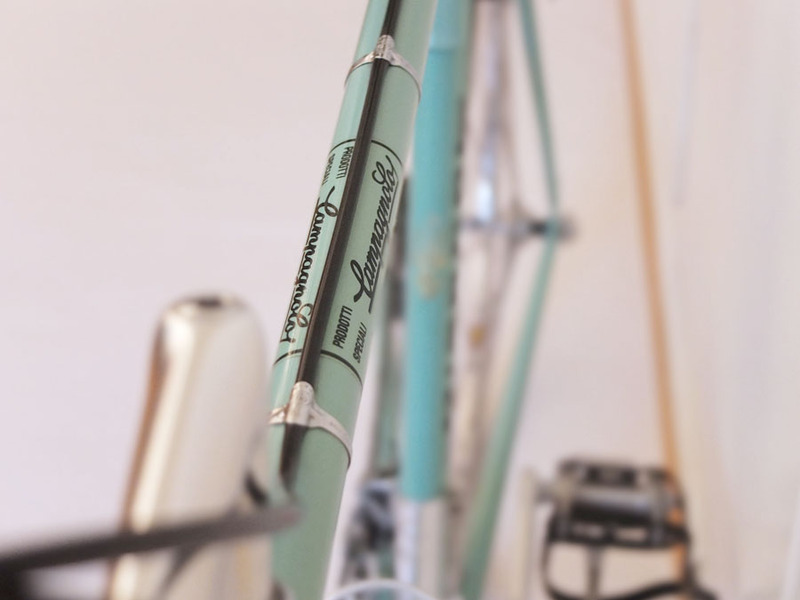 First owner, who was a Bianchi enthusiast with several top of the line models in his private possession, kept the bike in perfect condition. 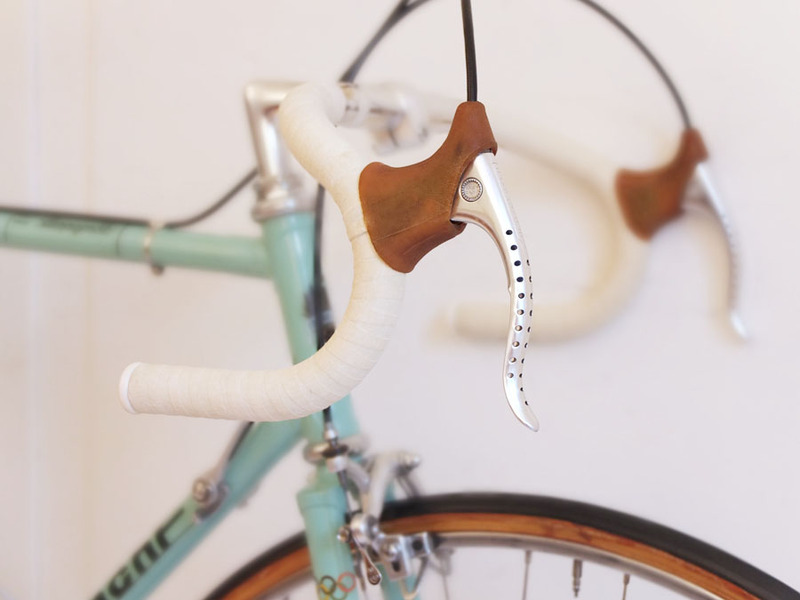 Very original.